Nokia released its Nokia 105 on February, 2013. This model comes at a price of Rs. 800. The Nokia 1100 from Nokia was launched on September, 2017. Price of this model is Rs. 850. On January, 2010, Nokia launched Nokia 5233 XpressMusic. This phone comes at a price of Rs. 929. and this mobile has 128 MB RAM with 70 MB Internal Memory. This phone runs on Symbian 9.4. This phone has only 2 MP Rear Camera without flash. ✓ The highlight of this mobile is 2 MP Camera which is best available in this price range. The Nokia 1280 from Nokia was launched on November, 2009. Price of this phone is Rs. 999. 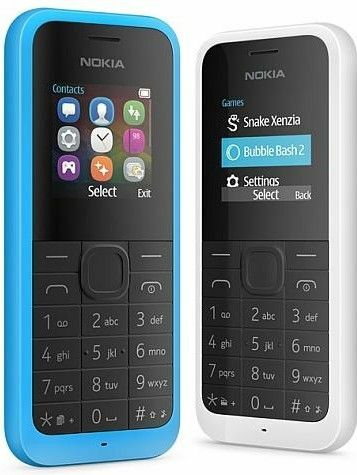 Nokia released its Nokia 105 (2017) on July, 2017. Price of this model is Rs. 999. . This model has 4 MB RAM with 4 MB Internal Memory. Nokia released its Nokia 103 on April, 2012. The Cost of this phone is Rs. 1020. Nokia released its Nokia 1616 on November, 2009. Price of this phone is Rs. 1054. Nokia released its Nokia 105 (2015) on June, 2015. Price of this phone is Rs. 1099. On May, 2012, Nokia launched Nokia 110 Dual Sim. Price of this mobile is Rs. 1102. and it has 16 MB RAM with 10 MB Internal Memory. It has only 0.3 MP Rear Camera without flash. Nokia released its Nokia C1-00 on June, 2010. Price of this mobile is Rs. 1199.